Autumn Asparagus: Are ‘Reverse Season’ Spears the Same? English asparagus is back for a new autumn season; I test the spears and tips for the Guardian. I have happy memories of every spear and tip I ate between St George’s Day and Midsummer’s Night, but as the ancient folk maxim has it: “Never eat asparagus while watching Strictly Come Dancing.” And contemplating eating asparagus in September, it struck me: the elation I feel when the vegetable appears is bound up with the way it heralds summer. Pondering the changing of the seasons at this time of year is likely to throw you into a panic over Christmas arrangements. So I put Santa out of my mind and the spears onto a plate. 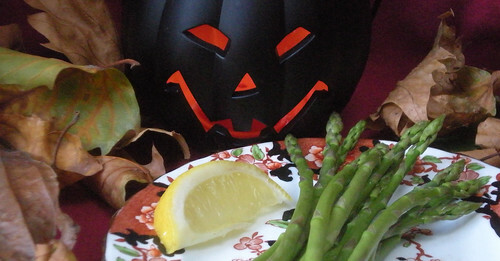 …and here is my daily asparagus diary for 2011. Day 64 and the end of the English asparagus season approaches, bitterly early. I have been eating the recommendations of Guardian readers and I offer my findings in a new piece headlined Tears For Spears. The experiment is enough to give Comment Is Free users a good name. 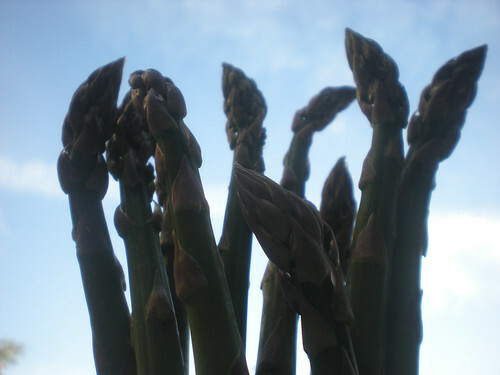 If you too love either asparagus or repetition, you can watch the slideshow of the 2011 season above. Recipes are either provided or linked to under the Flickr images. I eat English asparagus every day in season.Â I have asked readers of the Guardian to help by suggesting recipes. “I was able to avoid this punitive pricing, having heard that a pick-your-own 20 minutes from my home was planning a one-off ‘early Sunday’. Thrilling, certainly, and less than half the price of the supermarkets, but also tense. Word was sure to have spread – would the early crop be abundant enough? There were already nine other cars queueing 20 minutes before opening and the mood was edgier than a crack den in a power cut. Update [13 Jun]: The results are in. Crossword roundup: how do ice-skating jumps get their names?